The clamping pressure, as supplied from a separate pump unit, can actuate single- or double-acting clamps in the bed and ram safely. Pressure switches in the clamp line(s) (C1, C2) provide a signal to the press circuit if a valve is not activated or in the event of a pressure loss. 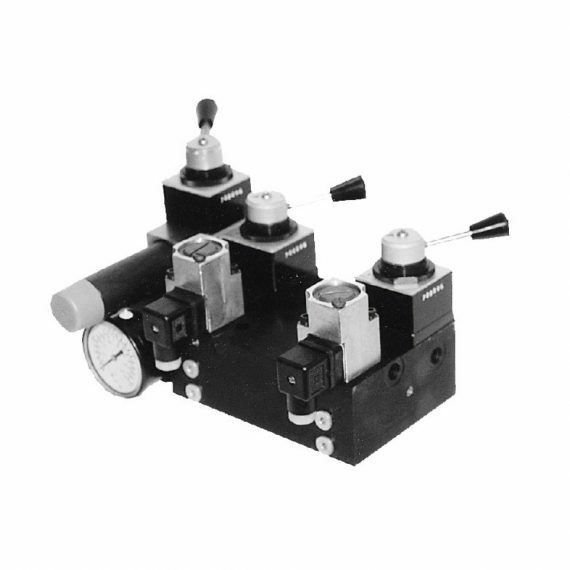 The reduced pressure die lifter circuit provides an adjustable reducer with circuit relief and a return line check valve to keep rollers with individual pistons not under the die, up during stamping. 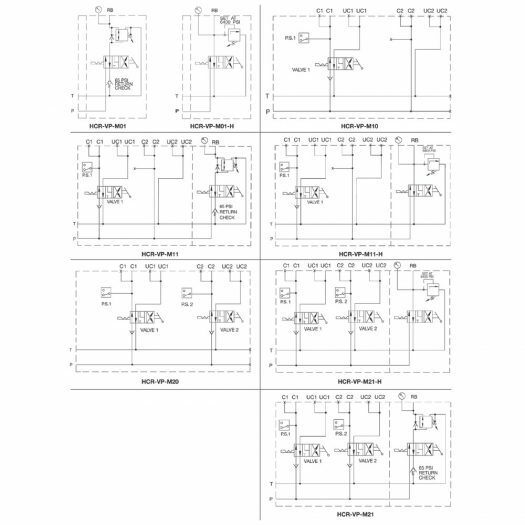 The H-style die lifter circuit operates at full system pressure. It includes a circuit relief valve which reduces possible intensification caused by overloading the die lifters. Can be mounted in any position.